22 December: Task proposal deadline. Mid-February-March: the 2015 tasks are announced and signup for participation opens. 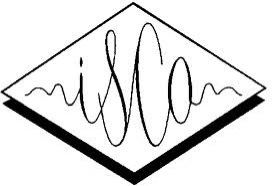 The MediaEval 2015 Workshop is an official satellite event of ISCA's Interspeech 2015. For pictures, check out MediaEval on Flickr. Martha Larson, Bogdan Ionescu, Mats Sjöberg, Xavier Anguera, Johann Poignant, Michael Riegler, Maria Eskevich, Claudia Hauff, Richard Sutcliffe, Gareth J.F. Jones, Yi-Hsuan Yang, Mohammad Soleymani, Symeon Papadopoulos (eds. 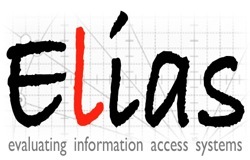 ), Proceedings of the MediaEval 2015 Multimedia Benchmark Workshop, Wurzen, Germany, September 14-15, 2015, CEUR-WS.org, online ceur-ws.org/Vol-1436. For the complete list of task organizers the formed the over all organization of the MediaEval 2015 benchmark, please see "Who are we?" and also the individual task pages. For a list of the people whose organizational effort made the workshop possible, please see below. The following tasks were offered in MediaEval 2015. Technical Committee TC12 "Multimedia and Visual Information Systems"